I did my first raids in Final Fantasy XIV! After finishing my run through of all the level 50 dungeons I figured it was the next piece of content to experience. There are two main sets of raids in the game at the moment, The Crystal Tower and the Binding Coil of Bahamut. The Crystal Tower is much more approachable and newbie friendly, so that's what I did. I had a set of guildmates walk me through the entire thing. This is definitely the best way to learn the fights. I'm sure you could find youtube videos too, but learning from real people is awesome. Especially people who will answer your questions and not get frustrated that it's your first time. They were all running it anyway because of the weekly incentive Final Fantasy XIV provides. The game developers are so good at social engineering. Once per week you can run through the entire Crystal Tower set of raids and if you complete all three raids you get an item that can increase the stats and item level of your top tier gear. It's great incentive to continue running the raids even if nothing will drop there that you need. The Crystal Tower had lots of good story. There were big cutscenes and reveals between each of the three raids in the set. Each of three raids looks and feels unique too! It's nice to have a set of related raids but not be stuck in the same tileset throughout the experience. The Labyrinth feels like an epic dungeon full of exploration. 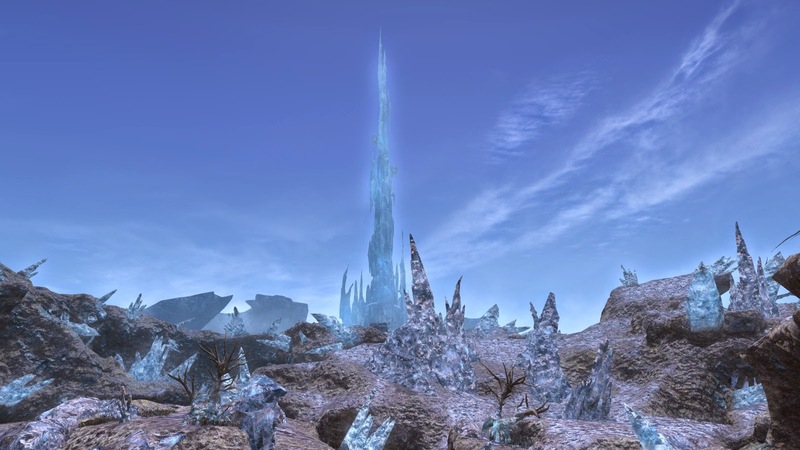 Syrcus Tower, the second raid, takes you into the clouds and reveals secrets from the past. The Dark World takes you to a different plane of existence as you try to patch up the gateway between it and the normal world. These have made me much more excited to raid, which is surprising given my raiding experience in World of Warcraft. In WoW I would hit max level, do a raid once, and then unsubscribe. They never held anything of interest for me. This newbie friendly raiding in Final Fantasy XIV is much more my style. I love how approachable it is. I'm not really sure what's next for me in Final Fantasy XIV. I'll still do some work on getting better gear for my main job, but I'm starting to look at some of the other jobs and professions with interest. I may try leveling up a healer. I might just waste time with Triple Triad. I dunno. We shall see.